It is indeed the year of the rebuildable atomizer with Smok introducing their low-end take on the Genesis style atomizer tank. 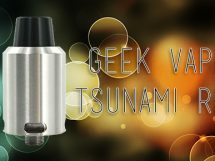 Priced at $15, everybody with an interest in rebuildable atomizers can try their hand at building an atomizer for that perfect vape. The Smok Vivi Tank comes with a silica wick pre-installed and holds 4ml of juice. The flavor shouldn’t be too far off from your typical atomizer, …but it was. Construction: Typical Smoktech style tank design.The appeal, besides being able to rebuild the coil and hold juice, is that you can get rid of the silica wick and use the better flavor producing SS mesh wick. While the construction isn’t anything fancy, it’s versatile enough for a mesh wick. Flavor w/silica wick, out of the box- This isn’t vape worthy IMO. Poor taste (not broken in yet) and the coils seems to be wrapped really tight on this one. I got a burning taste quickly. Whatever. The coil gets hot and makes lousy tasting vapor. Flavor and Vapor using an homemade “L” shaped SS mesh wick (no other mods). Flavor w/ 325 SS mesh wick and nichrome coil- Even without being broken in yet, it’s better than the silica. There is a taste stuck in this tank that came from the factory, I’m not sure if a good cleaning will help or not -but it can’t be a bad idea. 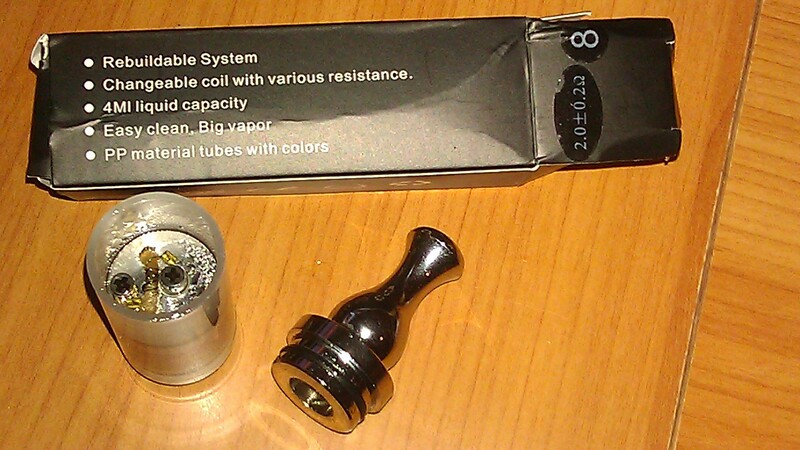 Is this the right rebuildable atty tank for you? Who knows. It’s $15- try it out if you like tinkering. My feelings on it are that you WILL want to replace the silica wick from the start and use mesh or an organic fiber and mesh combo. Chances are you’ll want to make a bigger hole for the wick and carry through some of the other modifications that users are making to this unit. The Smok Vivi isn’t as easy to change wicks on as other units. The recessed positive and negative posts require the removal of the whole tube -so if you have juice in the tank you’ll have to remove it through the tiny hole at the top before replacing the wick and/or coil. PITA! 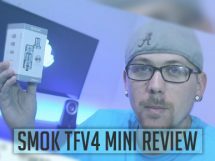 In closing, the Smoktech Vivi (stock) is junk in my opinion. 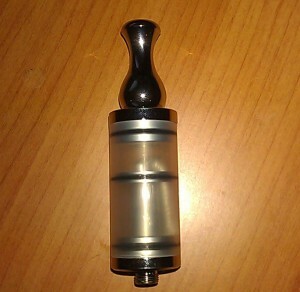 However, a modified Vivi genesis style atty seems to be as good as a genesis from what others are reporting. The price is right to try it for yourself if you are a tinkerer. If you don’t tinker- the gamble is on you. As always, we welcome your comments- even if they are a different experience than I had (and especially so). MOV Genesis Style Rebuildable Atomizer Tank- A DID Clone.